This is the list of all Texas Sheriffs for all counties in Texas. 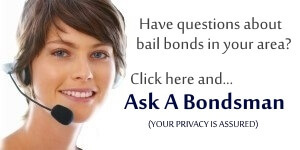 If there is information that needs to be changed, please contact HowBailBondsWork.com with the proper info. If you’re looking for an inmate in Texas and only know the county the inmate was arrested in, this Texas Sheriffs list will be of extreme value when trying to find an inmate. 1334 S Hwy. 21 E.
Sheriff: Salvador S. Rivera, Jr.
Sheriff: K.R. "Kenny" Lemons, Jr.
Sheriff: Johnny Dale Butler Jr.
Sheriff: Charles Edward Blackburn, Jr.
Sheriff: Forester Jake (Buddy) Mills, Jr.
101 N. Panna Maria Ave.
Sheriff: Edward "Ed" M. Mata, Sr.
Sheriff: Edward L. Shannon, Jr.
Sheriff: Thomas N. Maddox, Sr.
Sheriff: Joe D. Tackitt, Jr.
Sheriff: Eusevio E. Salinas, Jr.